Come hell or high water | Larry Atchley, Jr.
It’s been a long time since I posted in the blog. Life has been very busy. I really should post here more often though. I figured since I have a couple of new stories and a poem published I should take some time and talk about and promote them here. 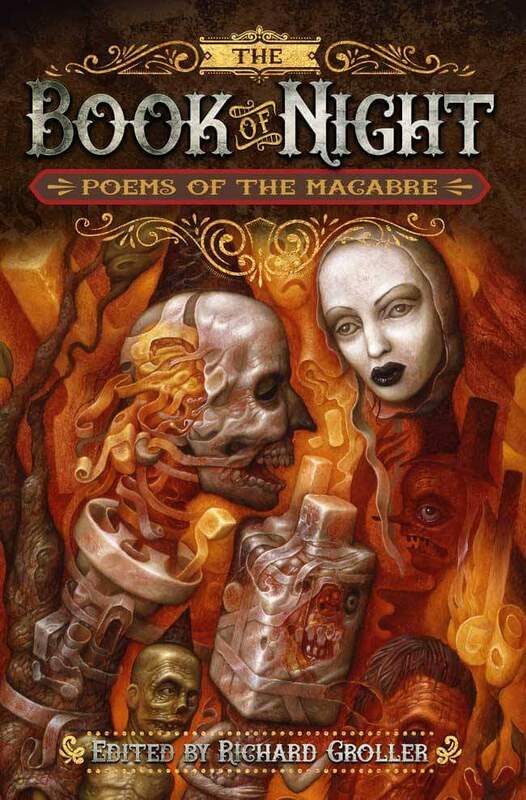 The Book of Night: Poems of the Macabre, edited by Richard Groller, is a collection of poetry by new Poets and classic ones along with original artwork by contemporary artists. My poem “The Shadow People” is published within. 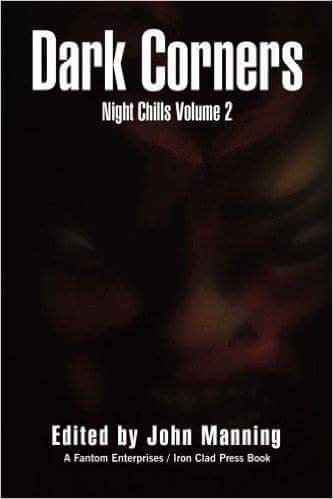 At the end of 2016 the horror anthology Dark Corners was published. It would turn out to be the last book published by Iron Clad Press, an imprint of Fantom Enterprises. The company was founded by my good friend John Manning with the concept of giving underrated and neophyte writers a venue for getting their stories in print alongside various veteran authors. With John’s passing to that realm beyond the veil before the book was completed, the task of getting the book finished and published fell upon the shoulders of his widow, Deanna. After the book came out she decided that she could no longer run the publishing company in John’s absence. I was sad to hear the news, but I understand why she made her decision. Running a publishing company is hard work, especially when trying to do it alongside another full time job. The book was released with memorials written by many of the contributing authors and stands as a lasting legacy to John and his vision. It features my Prologue story “The Librarian’s Tale.” Also my wife Ali has her first published story “Cliché” in this volume and she also created the front and back cover art. I am very proud of her. Below is the cover, although it is hard to see the artwork. 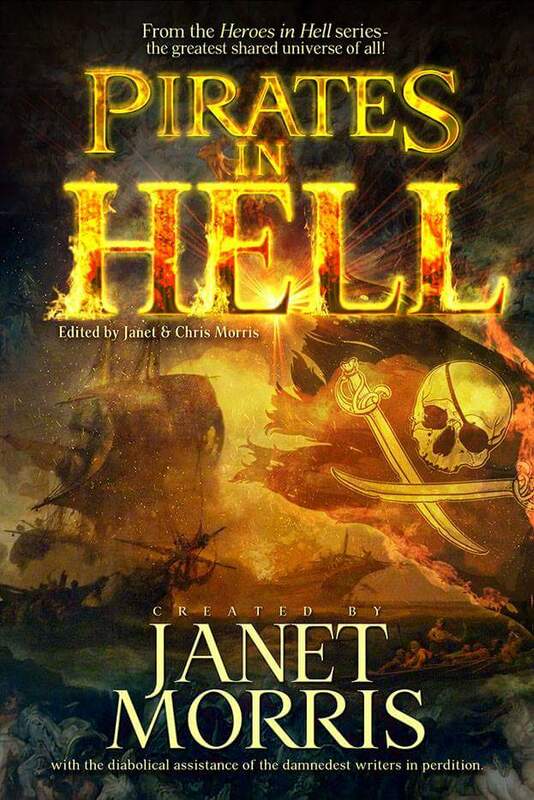 More recently released is the latest volume in the Heroes in Hell series, which features my story “Unholiest Grail” in which Buccaneer Henry Morgan, Erik the Red, Ragnar Loddbrok, and Anton LaVey search the seas of Hell looking for the Unholy Grail which legend says allows damned souls to partake of the forbidden pleasure of getting drunk. It was a fun story to write, and I barely got it finished in time to make it into the book. In fact it was quite a rough jumbled together story and Janet and Chris Morris whipped it into shape with their editing expertise so that it could be included. I am eternally grateful for their going out of their way to help me get it into Pirates in Hell. I want to also give a heartfelt thanks to my wife Ali for helping me with the creative process of writing the story, and for putting up with all my mental flailing about trying to get it finished. It would never have been possible without her support. I love writing for the HiH series that Janet Morris created back in the 1980s. I was a fan of the series back then and never would have imagined that I would be writing stories for it when it was rebooted in the 21st century. I am especially excited about this book because I will be able to promote it at the various shows in which I perform with The Seadog Slam pirate troup reciting pirate poetry and singing songs. My next project is to collaborate with my wife to write a story for the upcoming anthology Sha’Daa Toys in the shared world series created by Michael H Hanson. I have published stories on my own in two previous volumes: Sha’Daa Pawns and Sha’Daa Facets. It is a really interesting series and it’s always a pleasure to write in that world setting which takes place during the Summer Solstice of some indeterminate year when the fabric between our world and the other dimensions are torn open and evil beings try to destroy and/ or enslave humankind. In the story we are working on now, there is a music box with a white rabbit on it that belonged to Charles Dodgson, a.k.a. Lewis Carroll, which the forces of evil are trying to get a hold of because it is a portal to Wonderland from where the malevolent entities are trying to escape. I’m also going to start writing more on my book about Gorm the Goblin Killer. I originally was doing it as a series of short stories, of which the first one is finished. But I decided that it made more sense to go ahead and make it a novel. I’m also really wanting to get back to writing on my ShadowRogue Saga novel and finally finish it after all these years. Ali and I are always coming up with ideas for children’s picture books too which we will write together and she will illustrate. We just need to sit down and do it and figure out how to format the text with the artwork. Then will come the task of either trying to publish it ourselves or try to get it done through a publishing house. All of these things take time that we never seem to have enough of. But we need to make the time. Anyway, I guess that’s about all for this post. I’m going to try to start posting every week, so stay tuned for more.